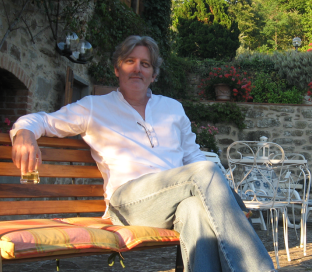 What: Author of the Edgar-, Anthony-, Barry-, and Lefty-nominated Ellie Stone Mysteries. A linguist by training, he studied Romance Languages and Literature at the university of Pennsylvania. He then spent sixteen years in the Hollywood post production industry, running large international operations in subtitling and visual effects. He speaks Italian and French. His latest book, CAST THE FIRST STONE, launched on June 6. Your latest novel, CAST THE FIRST STONE, is the fifth Ellie Stone Mystery. What does Ellie get up to this time around? Thanks for having me, Steve. I’m a big fan of your books, stories, and novellas. And hats. 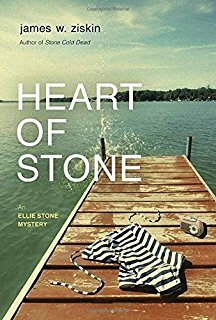 CAST THE FIRST STONE gets Ellie out of the fading mill town of New Holland, NY, and drops her in Hollywood. It’s February 1962, in the midst of heavy rains in Los Angeles. A New Holland boy has scored the second lead in a real Hollywood beach movie, so Ellie is dispatched to profile the hometown hero who’s done good. It’s the chance of a lifetime for Ellie, until she arrives and finds the actor, Tony Eberle, AWOL on the first day of shooting. He’s promptly fired from the picture, and the next day the producer is found dead in a ravine in the Hollywood Hills. Ellie realizes that her own tenuous career hangs in the balance if she comes home empty-handed, so she sets out to find the missing actor. She’s drawn into the shadowy world of Hollywood’s closeted gay actors, who are desperate to keep their secrets hidden. Hilarity ensues. Why did you choose to set this series in the 1960s? Any specific challenges to writing historical fiction? In some ways, the historical angle makes for an easier or, at least, less volatile time than writing, say, a contemporary thriller. The early 1960s isn’t a moving target. I don’t envy the high-octane thriller writers of today, what with the ever-changing technology to deal with. I can still hear the 1990s’ modem sound screech in my head. That’s what bleeding-edge technology sounds like a few years in. But I chose the 1960s for a few reasons. One, I really enjoy fiction that transports me to another time and place. Two, I wanted to place my protagonist in a period that presented daily challenges to a female professional. Every man, every woman she encounters underestimates her, resists her attempts to do her job, and generally thinks she should find a nice fella and settle down. Finally, for my protagonist, I envisioned a female foil for the hard-boiled male detectives that populate the crime fiction genre and sub-genres. I wanted to present a “modern girl” in 1960, one who wasn’t afraid to change the world one drink and one man at a time. How has Ellie Stone evolved as a character over the course of five novels? Is she the person you thought she’d become? Ellie is a young woman in January 1960. She’s just twenty-three and sucked into the emotional investigation of a brutal attack on her own father in his Greenwich Village home. She’s definitely rougher around the edges in STYX & STONE than in later books. But that’s how people are. They grow and mature. And that’s what I set out to do with her character in this series. Yeah, I wanted her to start out sleeping around a bit and drinking too much, like a good male detective. She still does a little of both, but she’s much more under control after the tragedies of book one. By the time we reach book five, CAST THE FIRST STONE, she’s an experienced and successful reporter with a couple of murder investigations under her belt. She’s also developed a powerful empathy for the victims in these books. But more than that, her sharp wit and wicked sense of humor are a counterbalance to the sadness she encounters. I think that’s important in crime fiction: it can’t all be dark and dreary. I like it when Ellie cuts some big lug down to size with her words. What are the challenges and benefits to publishing a novel every year? Well, for one thing you get paid more often. That’s better than a poke in the eye. And for another, I think it’s a good idea to keep readers on the hook. If too much time goes by between books, you risk losing readers to their other pursuits. Plus, I just love writing. I want to write. If I could produce two “good” books a year, I’d do it. But one will have to do for now. 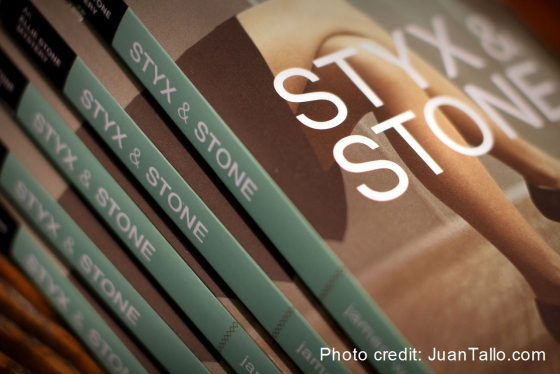 Was it more difficult writing the first book in this series, STYX & STONE, or the fifth book? They’re all difficult, as you know. About twenty thousand words in, you begin to doubt yourself, even though you’ve done it a few times before. But I will say that we get better at craft with each book. We also learn how to work our way out of the corners we inevitably paint ourselves into. And we get to know our characters better. That makes the process easier. On the other hand, you have to guard against complacency and laziness in plotting and characterization. And you might well run out of stories for that character. Do you have a specific number of Ellie Stone books in mind for the series? I have several Ellie Stone books left. I joke that there are still six more good “Stone” titles left. I use common expressions with the word “stone” in them. Next up is A STONE’S THROW. Then SINK LIKE A STONE, BLOOD FROM A STONE, ETCHED IN STONE, TWO BIRDS WITH ONE STONE, TURN TO STONE, AS COLD AS ANY STONE, etc. If I were to go beyond eleven or twelve books, I’d need to use some less-desirable titles. Think “EVERYBODY MUST GET STONED.” Ellie goes to Woodstock. And, of course, hilarity ensues. What did your time in Hollywood teach you about storytelling? Any plans to bring Ellie Stone to the big screen? I was on the post-production side, so my experience taught me to respect the work of screenwriters. I worked on a few “unscripted” reality shows, and, man, do you come to admire screenwriters after that experience. I don’t know much about the three-act structure of screenplays. My books just have a beginning, middle, and end. But I believe that analyzing the structure of story is an excellent exercise. So I applaud that. As for a movie deal, I see Ellie as a better fit for a television series rather than a film. I’m open to exploring new opportunities, even though writing books is my first priority. What other publishing plans do you have for 2017 and beyond? 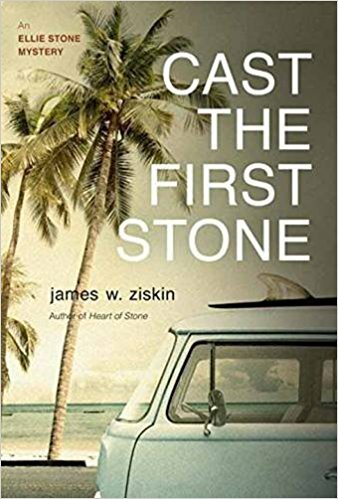 CAST THE FIRST STONE just came out on June 6. And next up for Ellie is A STONE’S THROW in June 2018. That takes place in August 1962 at Saratoga during the thoroughbred racing meet. But I’m also working on a throwback thriller of sorts. Think Graham Greene in India during the Emergency in India in the mid 1970s. And, once again, hilarity ensues. This entry was tagged #amreading, #interview, #qanda, A Stone's Throw, Cast The First Stone, Ellie Stone, Heart Of Stone, James. W. Ziskin, Seattle, Styx & Stone. Bookmark the permalink.